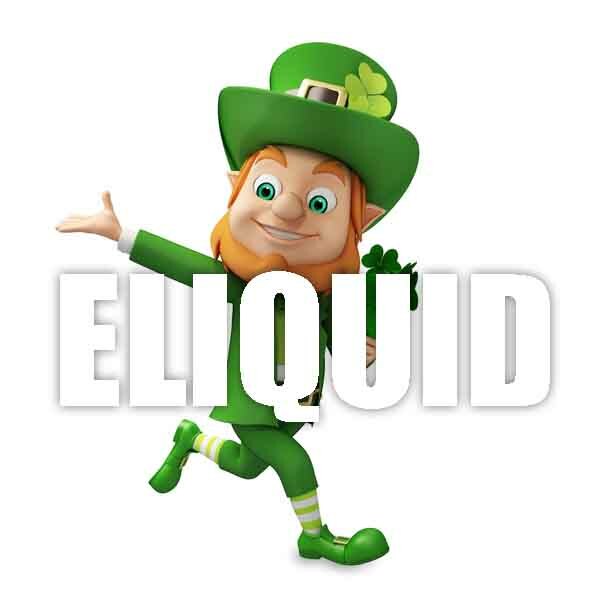 What Is Lucky Leprechaun Juice Like To Vape? When you vape this e juice your mouth will fill fill up with lovely creamy milk with the lucky leprechaun fruity cereal flavours fighting for dominance. The taste is really scrumptious and morrish. The velvety smooth flavours confuse your taste buds into thinking you have just had a spoon of the real creal. The fresh creamy milk really accentuates the sweet cereal fruitiness. On exhale the flavours remain strong and aroma is a really pleasant sweet fruity cereal one. When purchasing one our quality premium UK made vape liquids we can assure you that they DO NOT contain:- Diacetyl, Acetoin, or Acetyl Propionyl, refined sugars, protein, genetically modified ingredients, animal ingredients of any kind, preservatives, sweeteners, or colours. Is Vaping Lucky Leprechaun E Juice Vegan & Vegetarian Safe? Yes it is, you can vape this sweet cereal e juice with peace of mind. All our milky cereal liquids are gluten and suitable for vegetarians, and vegans. You can rest assured when purchasing this e liquid flavour that it contains only the purest ingredients.